Ok got a quantity of 16, 12 oz. 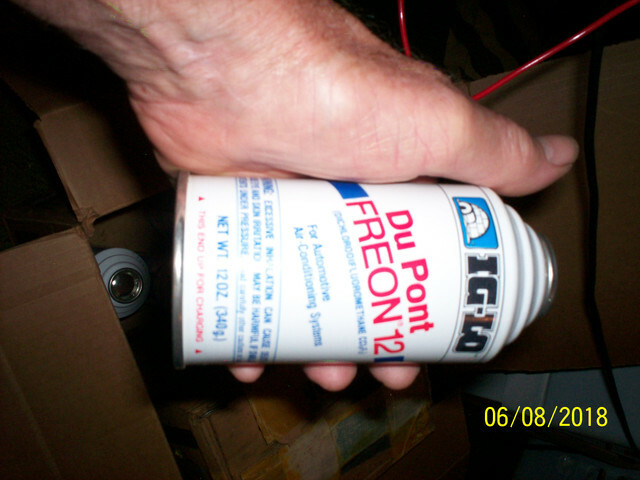 cans of Du Pont IG-LO Freon R-12 refrigerant. 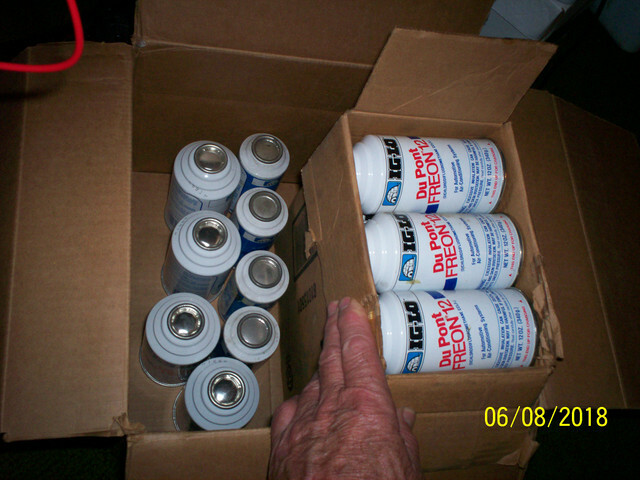 Also a quantity of 4 cans of 4 oz. each. It looks like they go for $30.00 to $40.00 on ebay. $30 / can if you buy 4 cans single can $40.. I will weigh each can and mark on the bottom the actual weight when I ship to show they are full. You pay postage to your location. This cannot go international. I looked at USPS and see no restrictions there. Has been on the shelf for too long I use Dura Cool myself takes much less and more efficient but you can keep your stock fill and gauge valves when you use R-12. 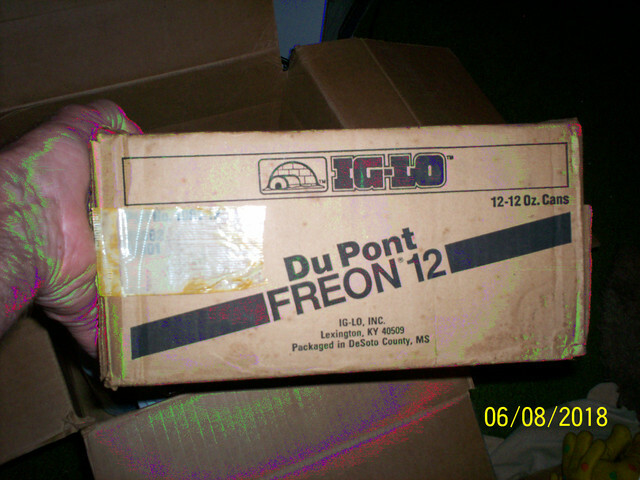 I also have a canister of R-12 but cannot swear to how much. It is on one of the old service machines I got at an auction of garage closing. This is like the 351 thermostats when gone I have no more. Clearing out the hoard. I would like 5 12oz cans please. (06-09-2018, 11:52 AM)Bru Wrote: I would like 5 12oz cans please. Please PM me you shipping info and I will send you the Pay Pal info. I will box up and get weight today.